Leave a Comment	This post may contain affiliate links. 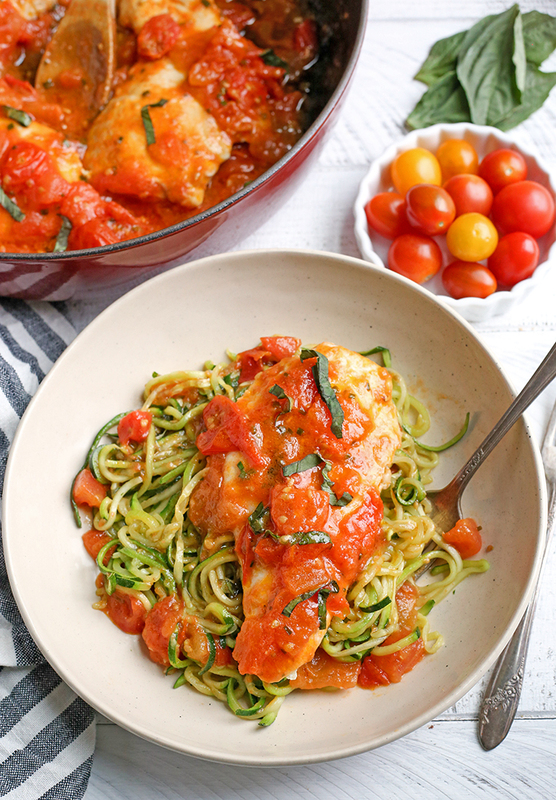 This Paleo Whole30 Garlic Tomato Basil Chicken is quick and so easy. 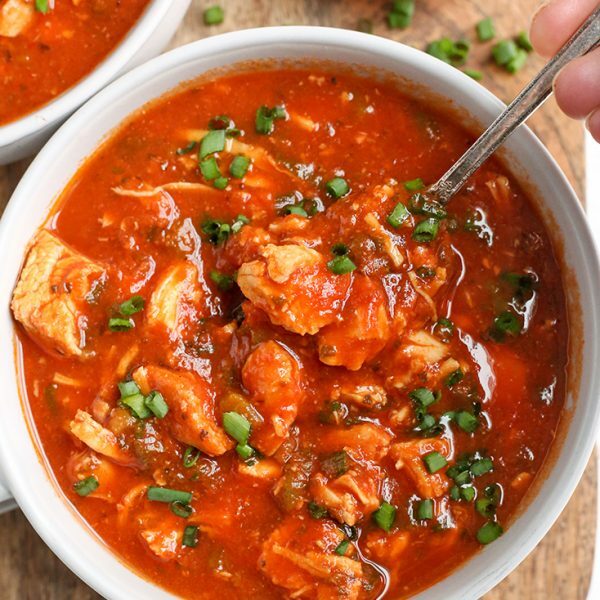 A fresh tomato sauce and tender chicken that is ready in 20 minutes. Gluten free, dairy free, low carb, and low FODMAP. This post is sponsored on behalf of Lucini Italia. All opinions are 100% my own, of course! Thank you for supporting brands that help make Real Food with Jessica possible! Let me introduce you to your new favorite spring and summer meal! It’s fresh, light, and delicious! 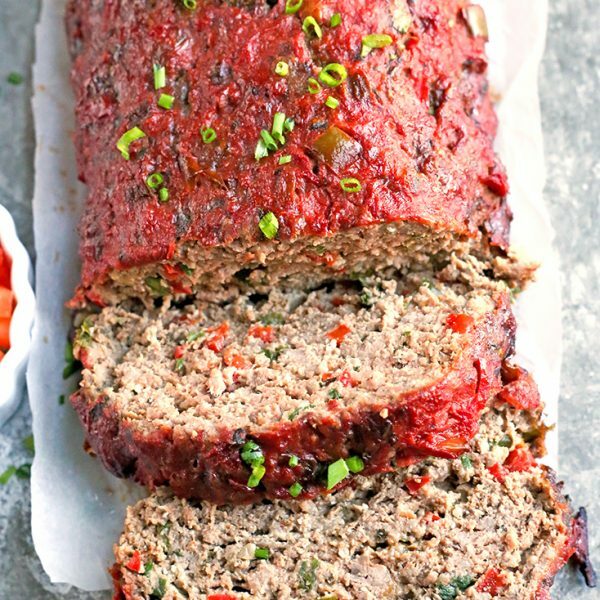 It comes together quickly and would make a great weeknight dinner. 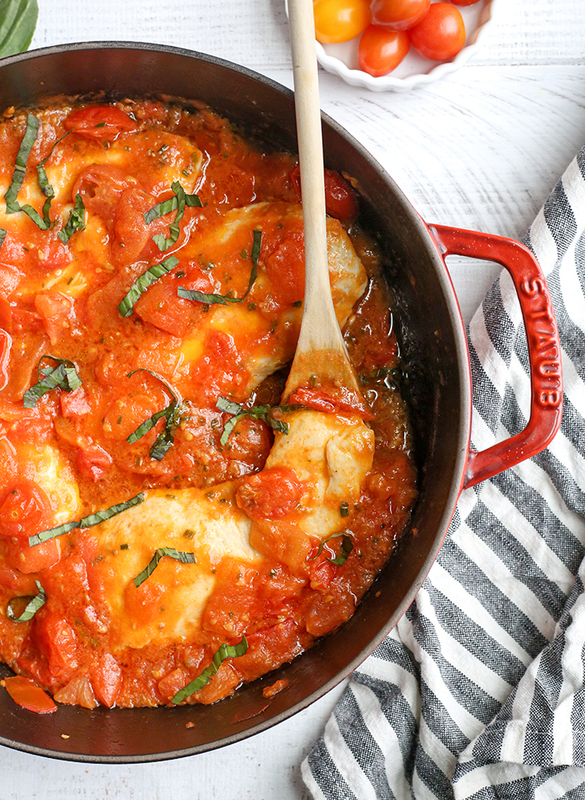 It’s a thick, rustic tomato sauce that is flavorful, yet fast. 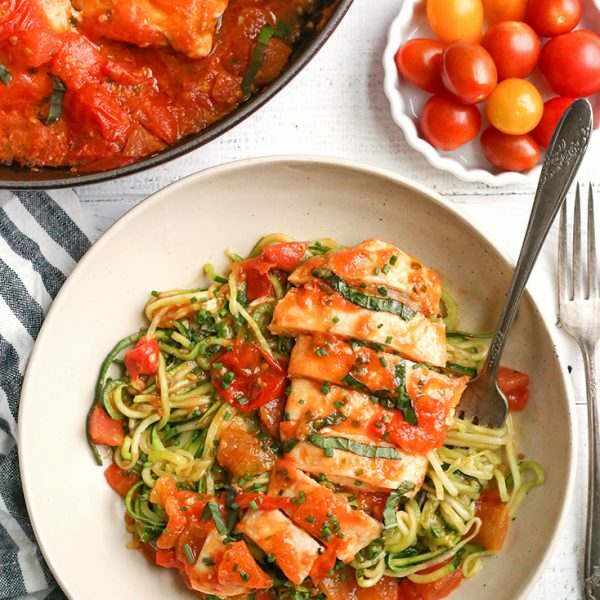 So great served over zucchini noodles or spaghetti squash. Thin chicken breast is used and you have a couple options. I like to buy it like that which is the easy route, or you can buy it and cut them in half width wise or pound them out to about 1/2 inch thick. The thinness makes the cook time quick. You could also use boneless, skinless thighs if you want. When using such few ingredients it’s so important to use quality ones. 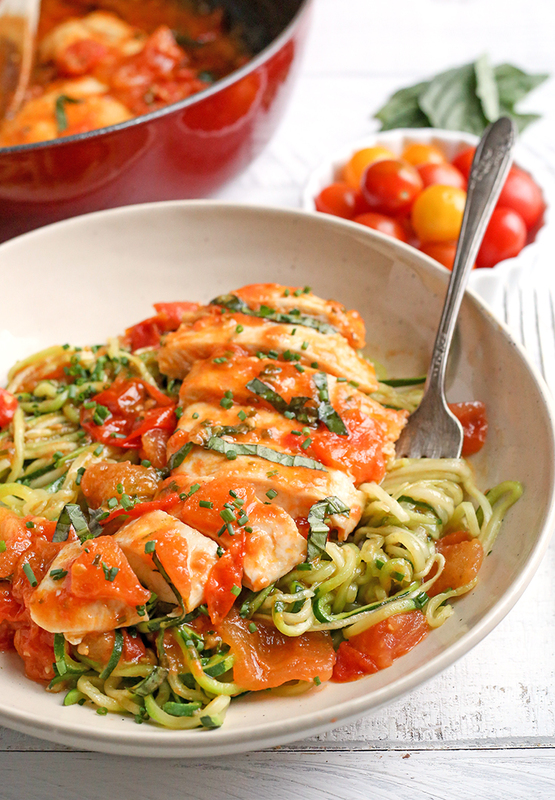 Organic tomatoes, organic chicken, and high quality olive oil. 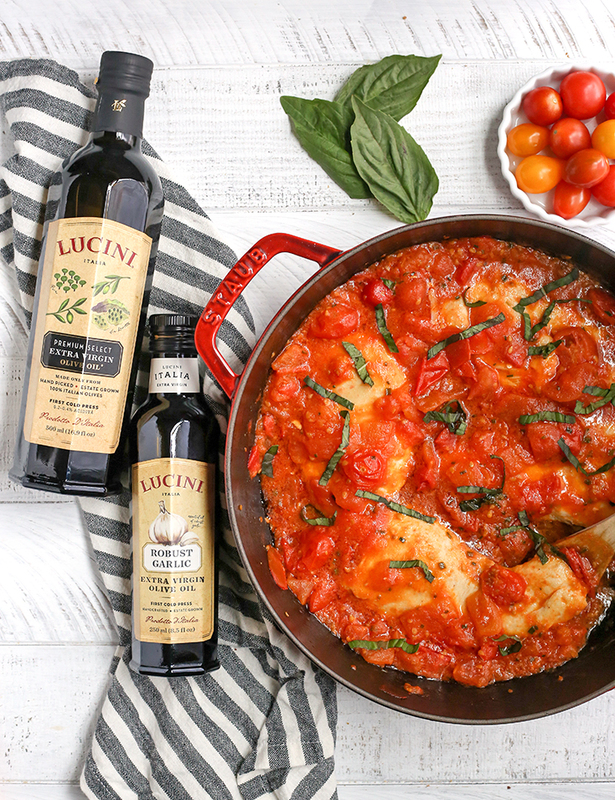 Lucini Italia recently received Whole30 certification and they are the first and only Whole30 approved olive oil brand. That is a big deal because not all olive oils are created equal, and now I know I can buy Lucini Italia with confidence that it is the best. As usual, this recipe is low FODMAP meaning no onion or garlic. I was super excited to see Lucini Italia has a garlic infused olive oil and it is SO good! Tasting this dish, you would never know I didn’t use actual garlic. Chives are also added for some onion flavor. If you don’t need it low FODMAP, use all olive oil and feel free to add fresh garlic or garlic powder. 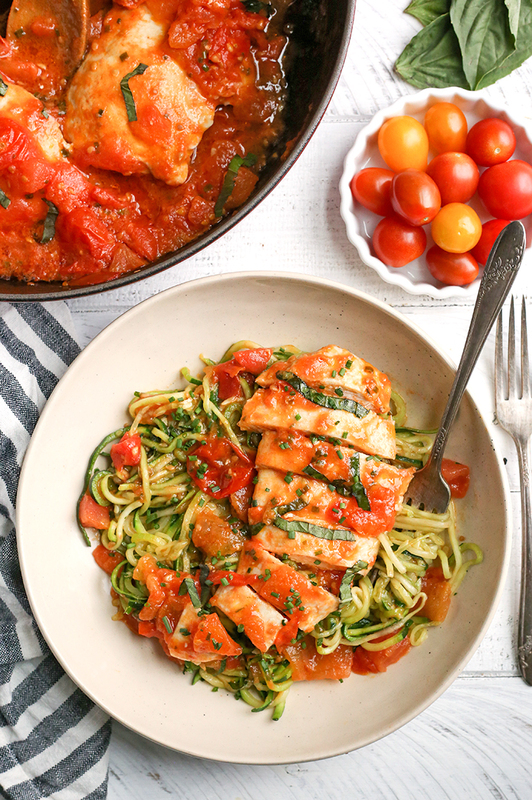 This is definitely a summer must-make when tomatoes are in season and so delicious! 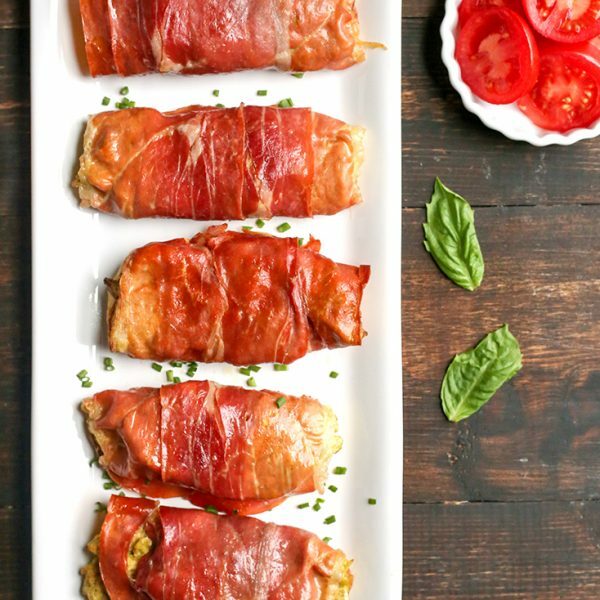 You will love this light, healthy meal that is quick to make. Add 2 tablespoons garlic oil and 2 tablespoons olive oil to a large skillet and turnt the heat to medium. Season the chicken on both sides with the salt. Add the chicken to the skillet and cook until cooked through, about 5 minutes, 2.5 on each side. Turn the heat to medium/low when cooking if needed. Remove from the pan and place on a plate while the sauce is made. Add the tomatoes and salt to the pan and cook on medium heat until the soften and make a chunky sauce- about 8 minutes. Stir regularly to help the tomatoes break down. Turn the heat to low and add in another 2 tablespoons of garlic oil and 2 tablespoons of olive oil, stir well. Return the chicken to the pan and cover with the sauce. 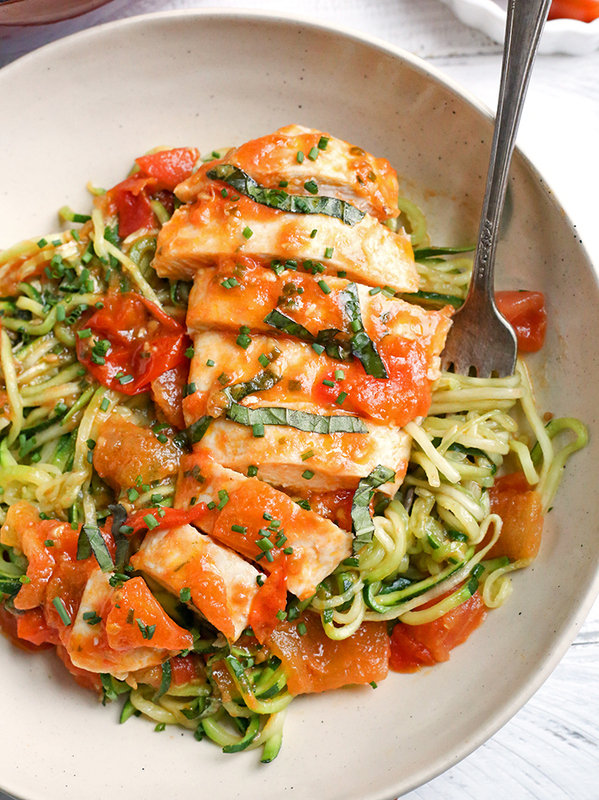 Top it with chives and basil and serve over zucchini noodles or spaghetti squash. * I used 3 large tomatoes and half a pint of cherry tomatoes. This number will vary depending on the type you use. 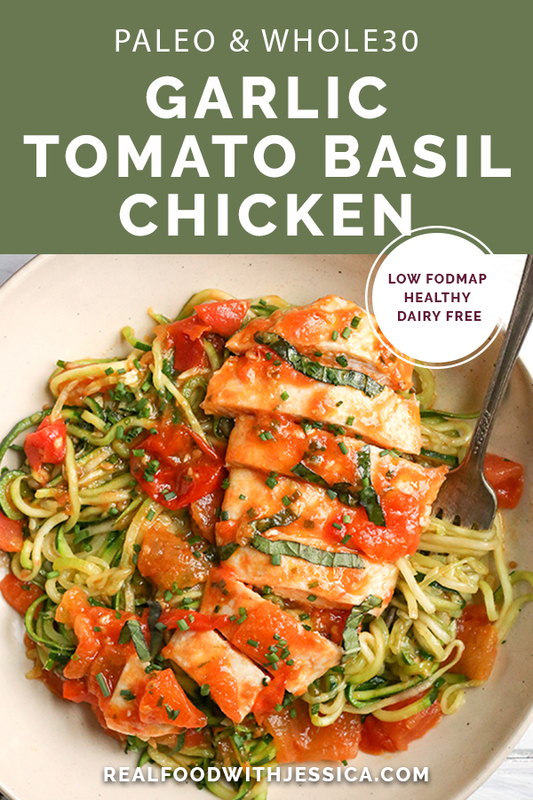 **If you don't need this low FODMAP then use all olive oil and feel free to add fresh garlic or garlic powder.